I review a lot of products, and many if not most are really great to have as recreational or "luxury" items. But I really love sharing with you all items that are more necessary. 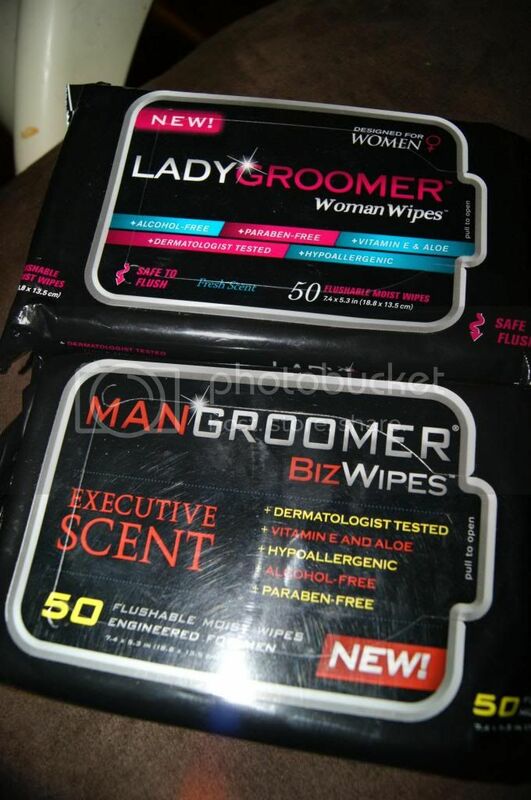 BizWipes (from Mangroomer) and WomanWipes (from Ladygroomer) really fit into this category. These wipes are really awesome. Each variety is specially formulated for either men or women. That may not seem like it matters, but it really makes a huge difference. As you can see from the packaging, these are Alcohol and Paraben free, hypoallergenic and dermatologist tested. They also contain Aloe and Vitamin E, are safe to flush and have a light, feminine fresh scent. These wipes are very refreshing. They clean completely and leave you feeling fresh, not soapy or oily or anything. No residue is left, only a clean feeling and a fresh scent. I have used other wipes and you can totally feel the reside left behind and it practically defeats the purpose of the cleansing. The scent is light, yet strong enough to linger for awhile. They are perfectly moist without being too wet(which I hate) or too dry(which can irritate). 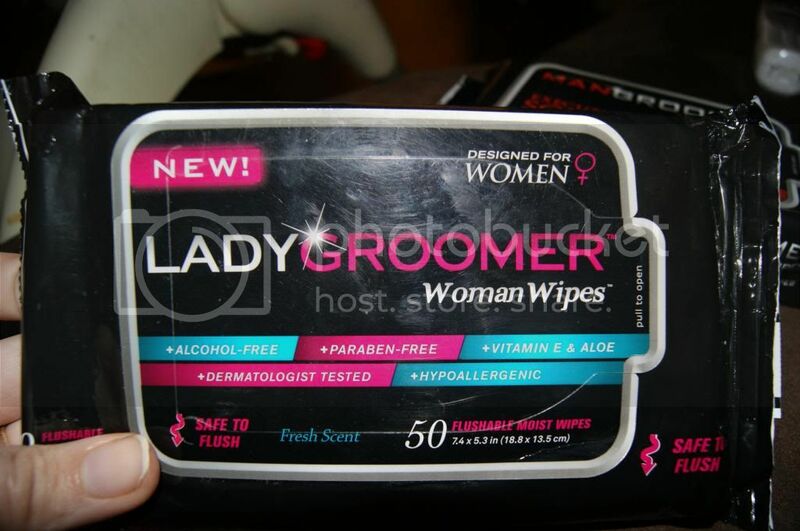 These are prefect for use on the go, after exercise, just random freshening, or as a follow up to TP all the time. No matter when you will use them, you WILL use them. These little wipes fulfill a big need. Everyone needs to be clean, and sometimes you need to do it even when you don't have time to shower, these are perfect. These are also Alcohol and Paraben free, hypoallergenic and dermatologist tested. They also contain Aloe and Vitamin E, and are safe to flush. These smell wonderful! The scent is called Executive Scent, which is hardly descriptive of the actual scent notes, and I cannot really find a way to describe it accurately, but I love the way these smell, and so does my hubby. He loves these. He has a very physical job outdoors(here in FL where it is ALWAYS hot and humid). 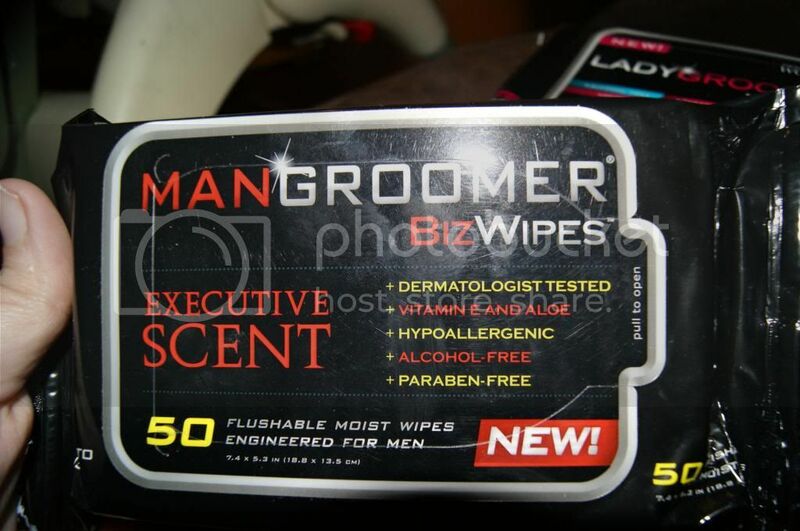 He sweats and gets dirty daily at work, and he loves that he can bring these with him for when he uses the restroom for a quick freshen up, or immediately upon getting home before his evening shower. He had never been interested in trying a product like this before, because there was not one(that we are aware of anyway) geared directly toward men, with a manly scent. However now that he's tried them, he is hooked, and says this is a product he could not imagine being without again. I have used these on my son as well. He is 5 and autistic, so he has trouble getting himself fully clean after using the toilet. These are such a big help. He can get all the way clean, add some grown-up(daddy) scent, and feel like a big boy all at the same time. He loves them too. He always wants them now, even when he does not need one. No matter your age or gender, these products are really a must. You only get one body, and it's important to take proper care of it. BizWipes and WomanWipes make it so easy.